You can sort the items displayed in List View, by clicking the header of the column you want to sort by—for example, to sort items by their creation date, click the Created on column header. To suit the way you like to work, you can display Detail View at the bottom or on the right of the NVivo workspace. On the View tab, in the Window group, click Detail View, and then click On Right or At Bottom. 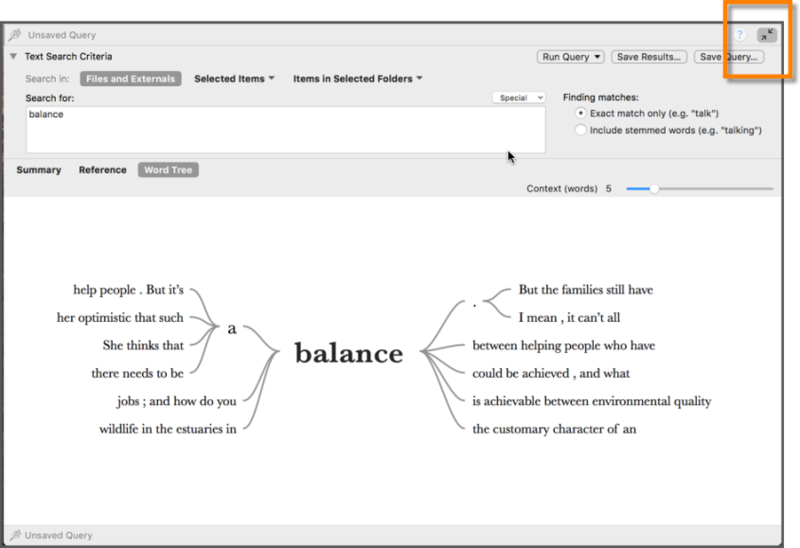 Expand the Detail View for a clutter-free, full-screen view of your files, query results or visualizations. In Expand View, you have access to the same features for coding and analyzing content as you would in normal Detail View—the only limitation being that you can't drag and drop items to and from List View.